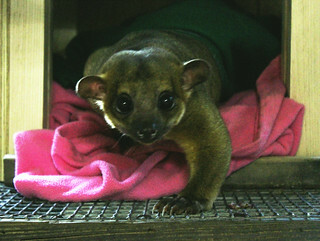 Baxter Kinkajou is the newest resident of Carolina Tiger Rescue. The 7-year-old kinkajou had been a family pet since he was 8 weeks old. He joins us from right here in North Carolina, where it is legal to own kinkajous. 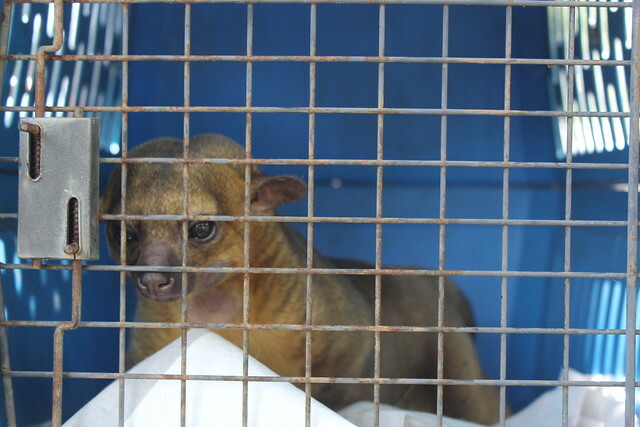 Kinkajous are wild and dangerous, and Baxter’s story represents the lack of legislation addressing exotic species ownership in the state. North Carolina joins Alabama, Nevada and Wisconsin as the only states with no laws regarding this issue. Luckily for Baxter, his family wanted to do what was best for him. A couple named Summer and Kirby had been in contact with us for a few months before bringing him to Carolina Tiger on Thursday. They got Baxter after their son died in Iraq while serving in the military in 2011; they were longing for something to need them. But as Baxter matured, he grew more aggressive. The couple knew they could no longer properly care for him. Baxter bit Summer several times, and they realized having a pet kinkajou was a mistake. Upon surrendering Baxter, they were interested in seeing where he’d live. What will soon be Baxter’s spacious outdoor enclosure brought Summer to tears. 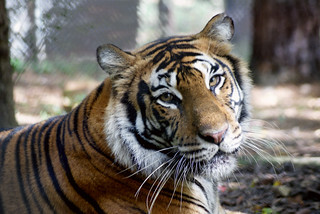 She said they could not have ever given him the life and care he’ll have at Carolina Tiger Rescue. The couple was at peace with their decision when they left and allowed us to be transparent about their story in hopes to educate others. 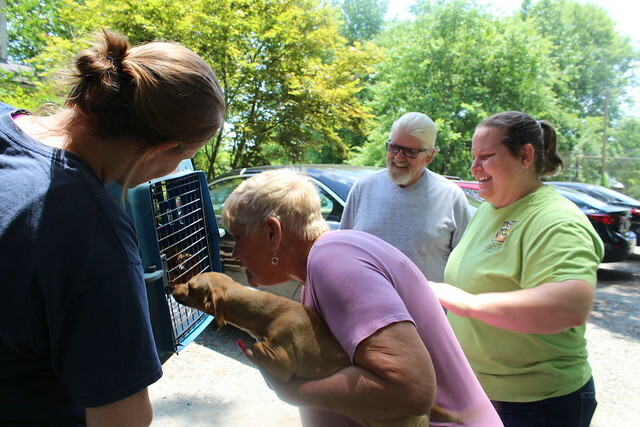 They left here feeling at peace with their decision, which was the right one for Baxter. Saying goodbye was tough, but they knew he was in a good place. Baxter, who will spend the first 30 days here in quarantine, lived with other pets and would periodically break into Summer’s makeup and eat it! This little guy enjoys dried pineapple and joins Albert, Lola and Wednesday as our resident Kinkajous! Lola was also rescued from the state in 2013.